Safely, efficiently and accurately obtain stockpile volumes without interfering with production. Landfill operators continue looking for ways to cost effectively monitor their operations on a scheduled basis. 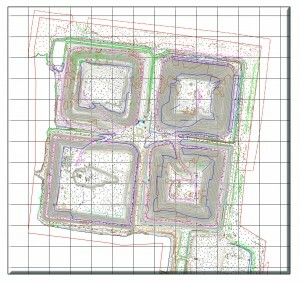 From regulatory compliance to operational planning, Axis Geospatial has over 10 years experience performing in-house volumetric calculations and cross-sections for landfills and waste facilities. Using DTMs in Terramodel, we can calculate Cut & Fill quantities using cross-section method (Average-End) or DTM to DTM comparison method. Whether it’s verifying monthly “fill” comps for a Landfill or reporting on stockpile inventory, Axis GeoSpatial can assist you on your next Volumetric Project. Depending on the size, location and timing of the project and existing data, Axis can advise on the most cost effective and safe method to meet project requirements. Contact us today to discuss your next mapping project.